Houseplants are an essential part of my home décor, and that's just as true during the holidays. I usually receive a poinsettia or two as a holiday gift, of course, but it's the plants I have all year long that I really rely on to add a touch of life and holiday flair around the house. Here are some houseplants you can use in your decorating. 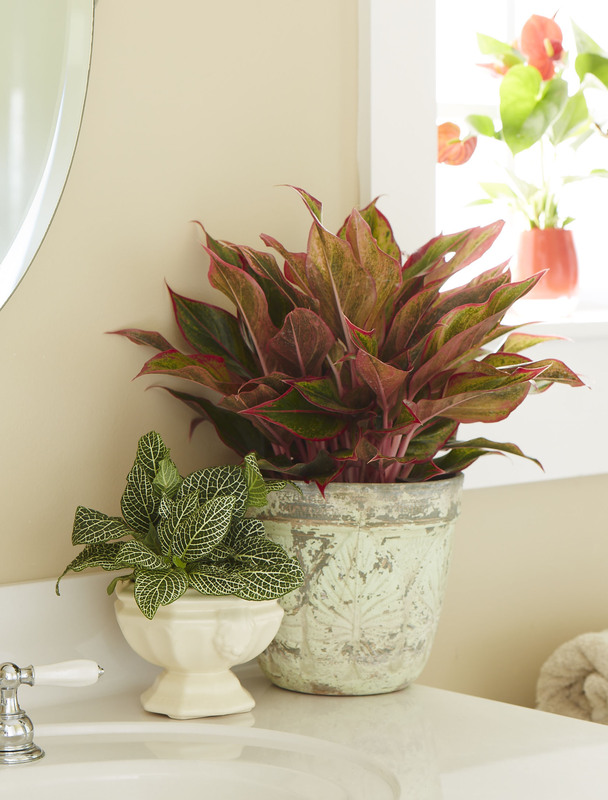 Like red aglaonema, fittonia's leaves are variegated in shades of red, white, or pink. They don't remind you of Christmas the rest of the year, but during the holidays, they fit right in with your other holiday décor. 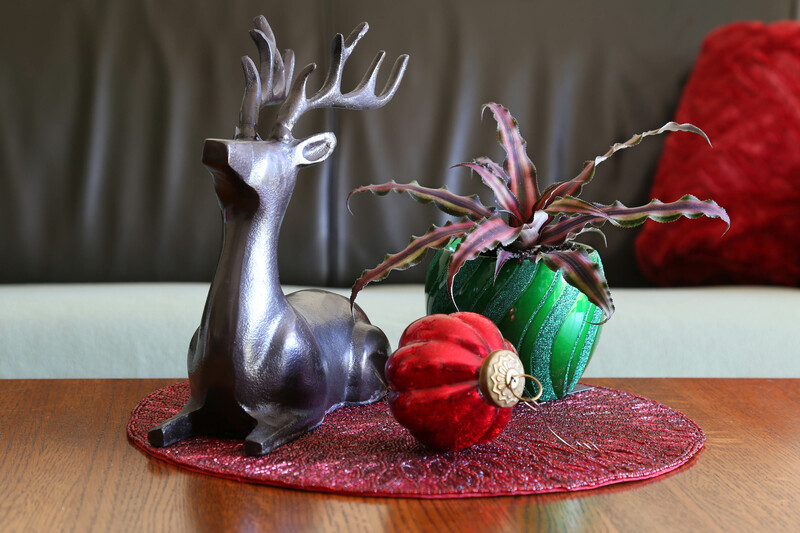 Try tucking a few small holiday ornaments among their leaves to add to the holiday look. Fittonia tolerates low light, and thrives in medium light. Keep the soil moist, but not wet or soggy. It prefers average to above-average humidity levels. Earth star (Cryptanthus 'Red Star') is a charming bromeliad that has cheerful reddish foliage that looks great all year long. It's earned its common name because the arrangement of the leaves is reminiscent of a many-pointed star as they radiate out from the center of the plant. Earth star grows best (and shows the most color) in a high-light spot. It's quite drought tolerant, so you can water it like a cactus or succulent. 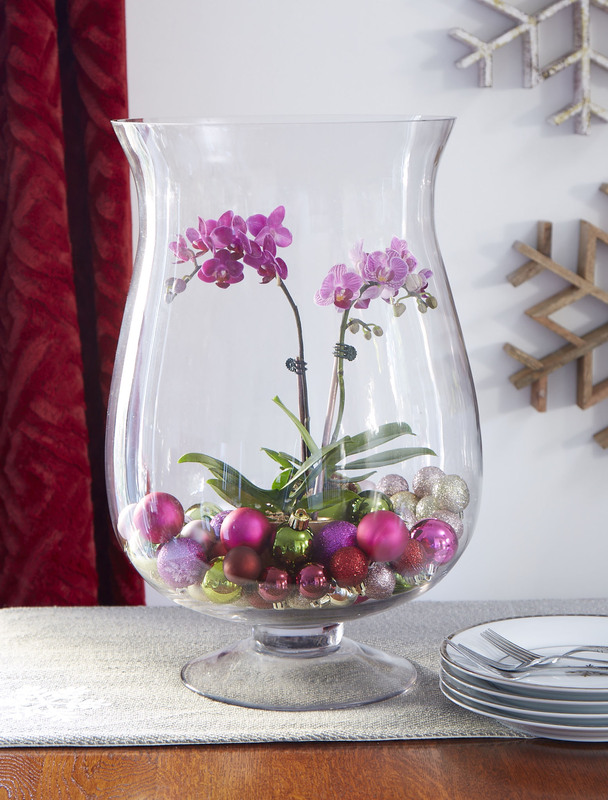 I love orchids all year, but the beauty and elegance of a gorgeous moth orchid (Phalaenopsis) is right at home during the holiday season. 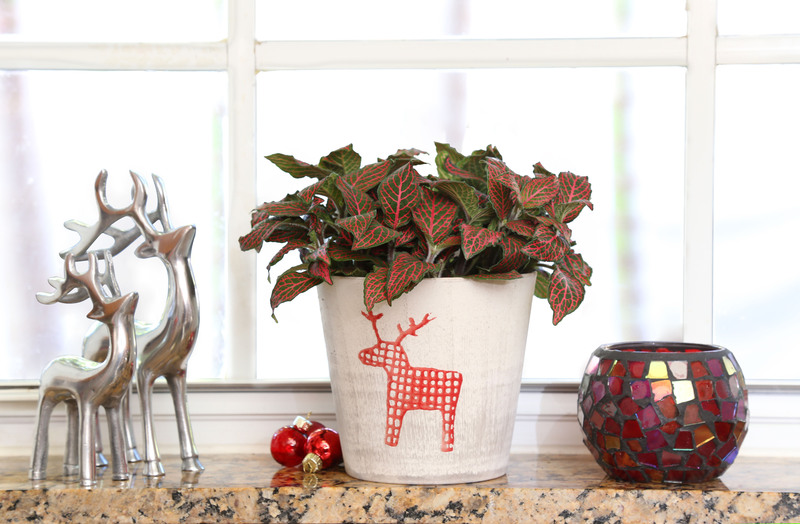 Because the roots don't grow in soil (you usually find them potted in moss or bark), you can cover the top of the pot in holiday ornaments for a fun, festive feel. Moth orchids tolerate low light, but bloom best in medium or bright spots. Water them once every ten days or so. 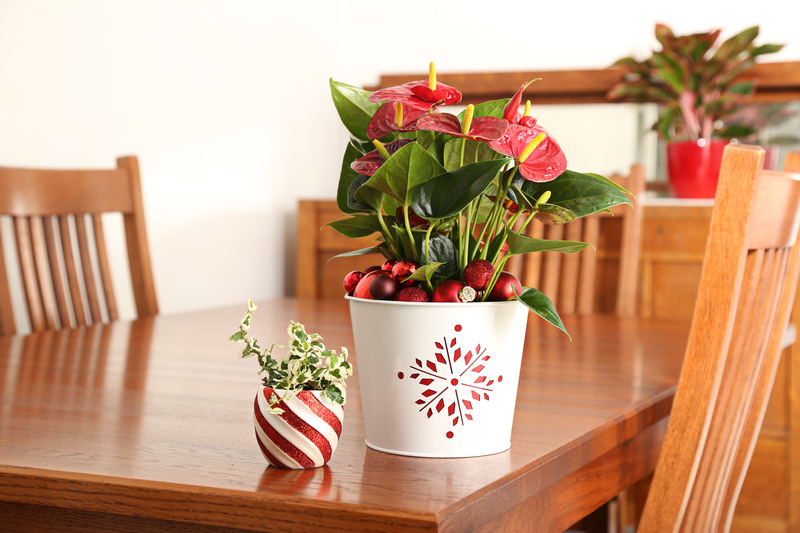 Though I associate anthurium with Valentine's Day, its bright red blooms are also perfect for the holidays. Enjoy it as a gorgeous living centerpiece or accent on a buffet table. It does best in warm, bright spots, but tolerates low and medium light. The flowers last longest (up to a couple of months!) in abundant humidity levels.